Announcing the Winners of the Big Color Dance! It was a wonderful First Friday evening at the Flat Iron. And we are delighted to announce the winners of the Big Color Dance. 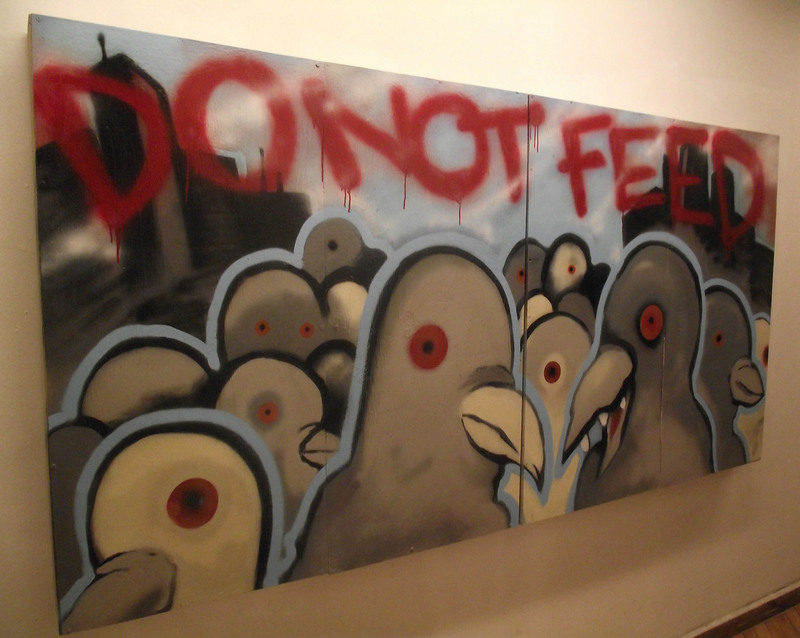 The Judge’s selected Elan Lanier’s painting “Do Not Feed” for the top prize of $500 in Blick Gift cards. Congratulations Elan. There was a tie for The Peoples Choice award for $250 in Blick Gift cards. Zsofia Otvos and Dana Parisi finished in a dead heat. Since we do not have gift cards in $25 denominations, we are making the award $300 and giving each $150 in Blick Gift cards. The FIAA thanks all of the artists for their participation in the Big Color Dance. And we thank all the wonderful visitors to the Flat Iron for their support. Previous Previous post: The Big Color Dance, First Friday at the Flat Iron! Next Next post: First Friday at the Flat Iron, January 2nd!